COP 3.8.NF & CE certification.Ductable. Optional built-in heater exchanger.COP 3.8.NF & CE certification.Ductable. 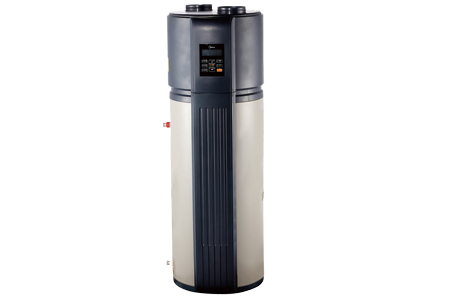 Combo Type Heat Pump Water Heater 190L Series product adopts enamel water tank. The combo structure design ensures easy installation, only water pipelines need to be connecting in-site. Environment friendly refrigerant R134a is used. No discharge of poisonous gas. No pollution to atmosphere and environment. Complete isolation between water and electricity without electric shock problem, more safety. No fuel tubes and storage, no potential danger from oil leakage, fire, explosion, and so on. No cross contamination potential, the condenser coil is wrapped around the enameled inner tank. Multiple protections: PTR valve, Manual & Automatic double high water temperature protection switches.